Free Download Inca Ball Game or Get Full Unlimited Game Version! 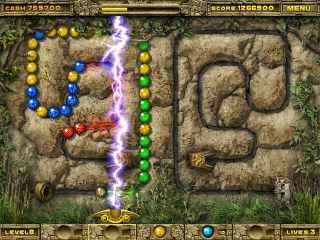 Inca Ball is a marvelous puzzle adventure where you must use your quick wits and fast reaction to obtain the great treasures of an ancient civilization! In order to get advantaged of playing Inca Ball full unlimiteg game version you must register the game. 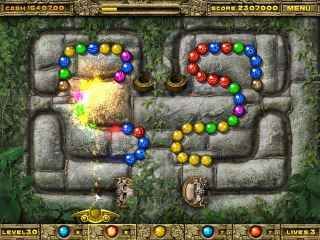 Immerse yourself in a great quest for the treasures of an ancient civilization in Inca Ball! Use your quick wits and skill as you shoot orbs into a moving chain of colored balls to create a sequence of spheres of the same color, causing them to disappear! Clear all of the spheres to make your way to the treasure room! During the gameplay you can earn money to purchase a number of explosive artifacts that will help you in your quest. Finish the game, and a special prize will be yours! The treasures of Inca Ball await! Earn Money And Buy Explosive Artifacts! Win A Prize At The End Of The Game! Help Acua prevent a devastating prophecy from occurring, and save the Inca civilization, in this exciting Match 3 game! The entire world is in danger! Join Seraphine in this amazing adventure and save the world from its doom. In Ball of Wonder, the clowns are out for revenge as you destroy circus themed environments in this new break-out game! Can you handle hot brick-busting action and thrilling battles in space? That's what Action Ball 2 is all about! Use powerful lightning traps to capture the invading Furballs as they attempt to gobble up Earth’s candy supply.